Things are heating up at the Colby Agency! Get ready for a more Sexi-ER mystery. **There’s a target on her back. How can his latest assignment not be personal? Bodyguard Todd Christian has been hired to protect ER nurse Eva Bowman. Not only has she been marked for death by a dangerous gang, but also she’s the woman Todd has never been able to forget. He chose to walk away from her—and the heat between them—once. That’s not a mistake Todd is making again. 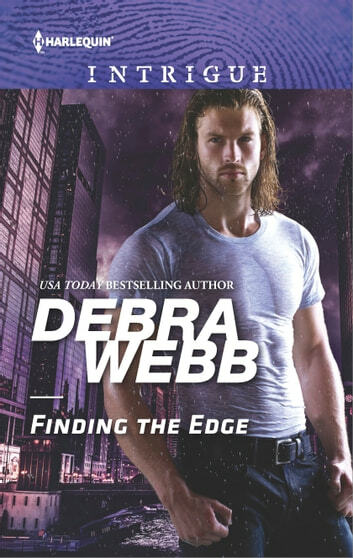 Finding the Edge (Colby Agency:Sexi-ER It seems that Ema Bowman gets caught in a serious situation at the ER and ends up killing a gang member who turns out to be the brother of the gang leader. Thus she needs protection because he says she is going to die which brings in the Colby Agency and Agent Todd Christian. Eva and Todd have a history that is something they try to work around while trying to keep Eva alive. 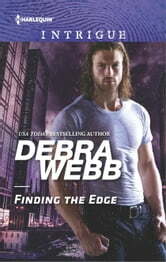 Debra Webb has created characters who have you wringing your hands in frustration as they try to get past the hurt from 10 years ago. The twists and turns from the beginning to the end keep you from putting it down until the end.